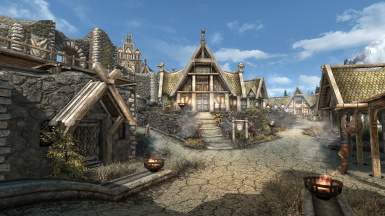 Changes weathers for a rustic/medieval style. 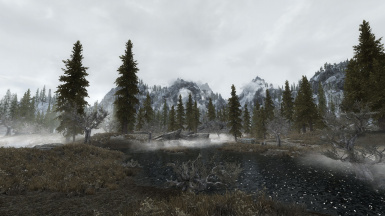 Firemanaf - For making amazing ENB presets for Rustic Weathers. 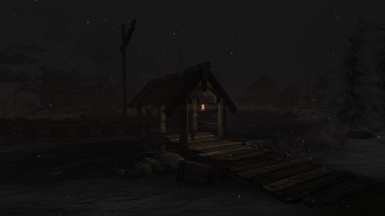 Megaloblast - For helping me and allowing me to adapt one of his weathers to Rustic Weathers. 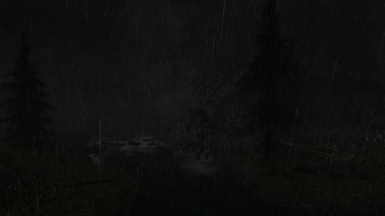 Brought rain/thunder sounds and particles from Aequinoctium. Removed the horizontal lens flare that's often visible on sun and candles. 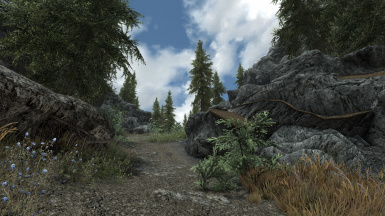 - Improved shading for a better depth on landscape, objects and characters. This is noticeably mostly during mornings and sunsets. - Very slightly increased contrast. 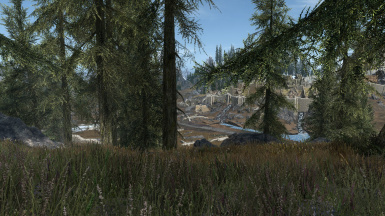 - Cleaned some leftovers that occured from merging with Extras in the last update. 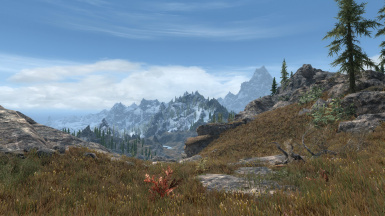 Merged Extras addon with main mod. 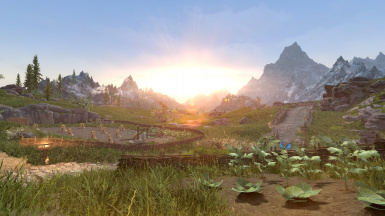 Please remove Extras addon from your load order as it's no longer needed. 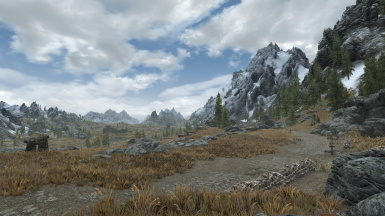 - Added 4 new weathers. 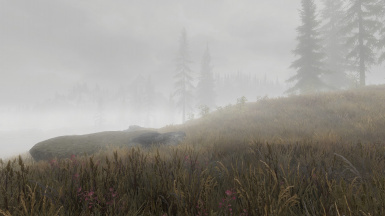 - Minor tweaks to Fog and Storm Rain weathers to alleviate the high brightness that happens during these weathers while using ENB. 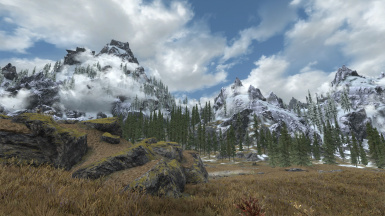 - Increased brightness for Clear and Cloudy weathers in non-snowy regions. 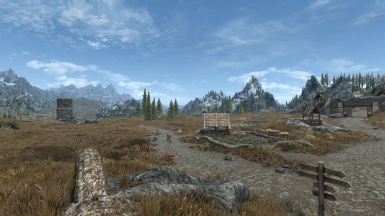 - Slightly increased saturation for Clear weather. 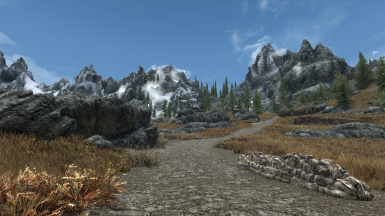 - Tweaked eye adaptation, slower, more natural and subtle. 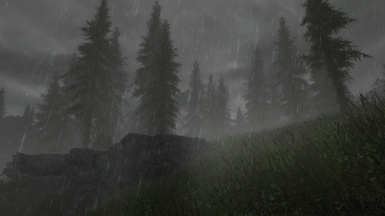 - Fixed a transition issue between heavy rain and other weathers. 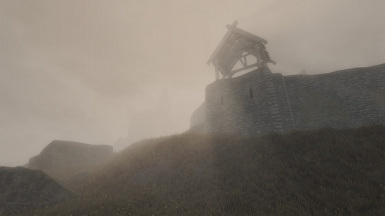 - Fixed Storm shout weather sounds. 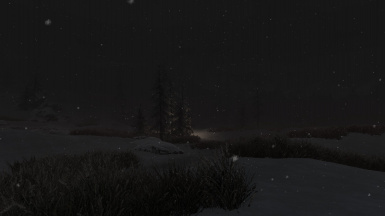 - Changed godrays for heavy rain. 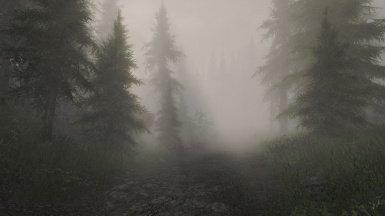 This will make the mist animate a bit, but as a side effect, the weather will be slightly darker and contrast slightly different. 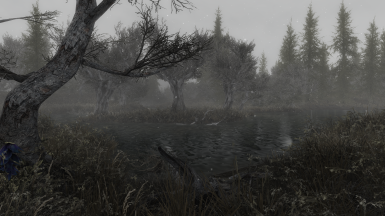 - Changed sunset and sunrise godrays for: light rain, snowing and foggy weathers. - Transition time is twice as long. 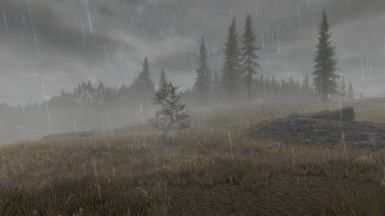 - Increased rain particles size for heavy rain. 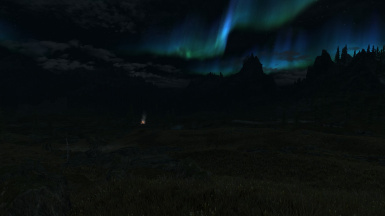 -Ground is now lit by aurora borealis during night. 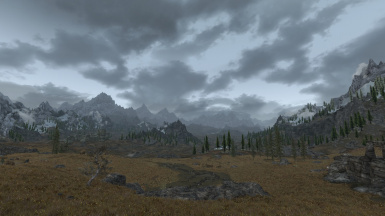 -Changed the storm caused by Storm shout, before it wasn't changed by mod. 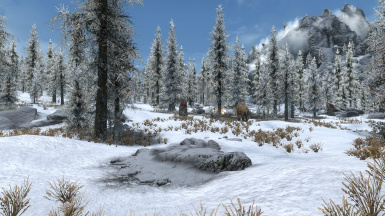 EXPERIMENTAL: Version 25 added INI file which fixes snow shader during night. Let me know if it works. 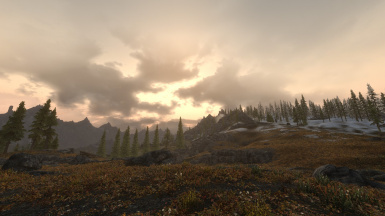 - Added the much needed sunset and sunrise visuals for light rain weathers. 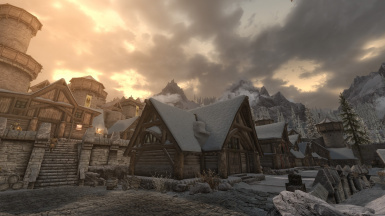 - Decreased the eye adaptation effect for all weathers. 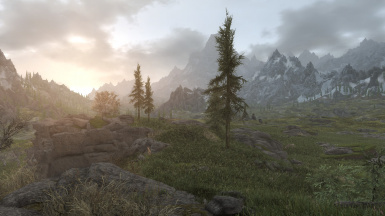 - Minor tweak to the sun lens flares. 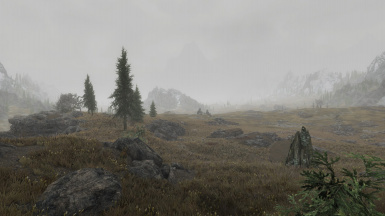 - Changed cloud textures for Rain weathers, smoother, more varied and fits with the fog color. 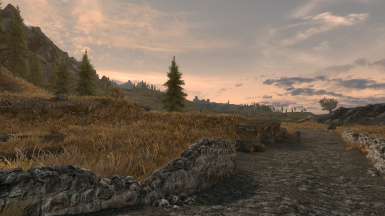 Changed sun lens flares textures to another ones that are included with the game. 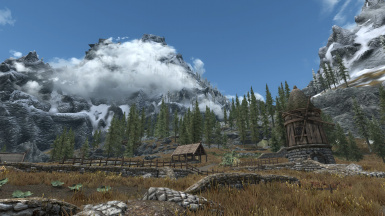 - Changed the brightness, saturation and contrast in snow regions for the Clear and Cloudy days. This results in a smoother contrast, far more pleasant to the eyes. 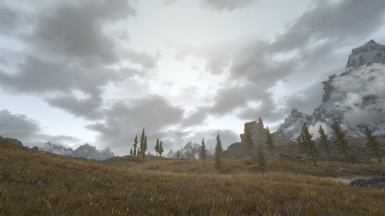 - Slightly toned down the brightness I increased previously in v10c as it caused overblown whites on clouds. 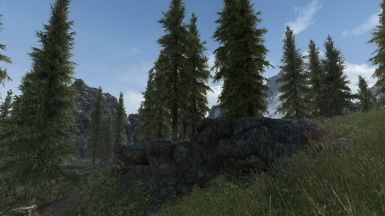 - slightly harsher textures during Clear/Cloudy days; This brings more detail from textures. - Increased saturation across the board by 7% to give slightly more color to light sources without changing the tone. 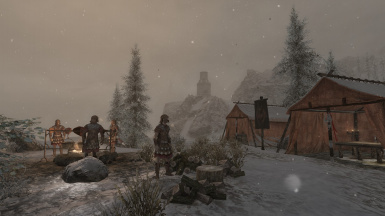 - Minor fix related to snow weathers. 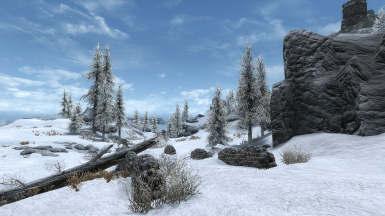 - Major changes to snow weathers. 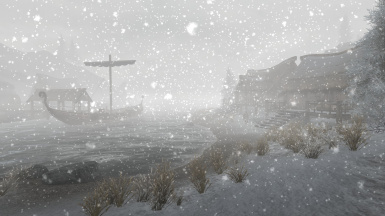 - Increased the amount of snowflakes during heavy snow. - Slightly increased contrast in heavy rain to counter the closer fog. 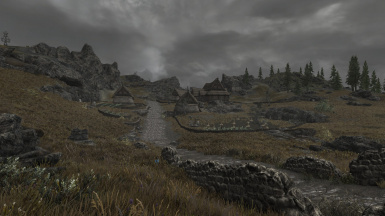 - Changed the weather that occurs during the Whiterun civil war battle. 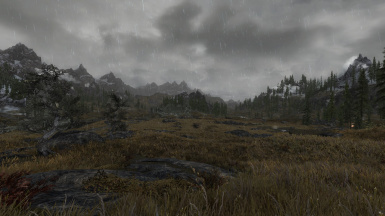 - Major tweaks to storm rain. - Darkened the night fog during rain. 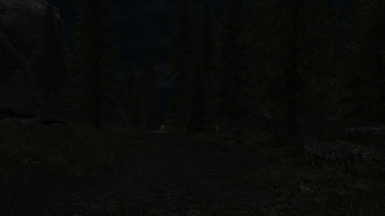 - Slightly lowered night brightness for snow/rain/fog weathers. 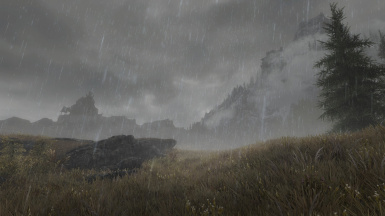 - Very minor tweak to rain particles. 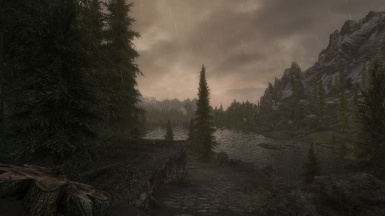 - Added interior rain sounds for light rain weather. Hopefully it doesn't get too weird in dungeons. 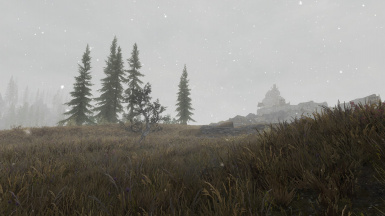 - Fixed dark blue grass when snowing. 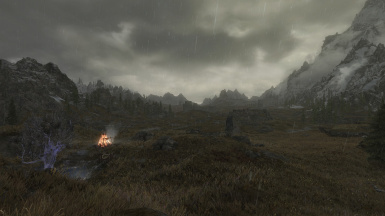 - Tweaks to rain and thunder sounds. Extra thunders, a quiet raining sound in interiors, deep bass thunders in interiors. [!] - A subwoofer might be required for the deeper thunder sounds. 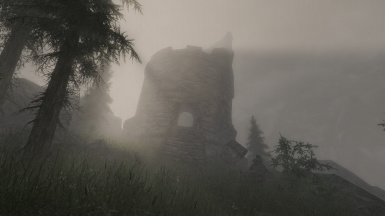 - Fixed sky being too bright in Riften foggy weather. 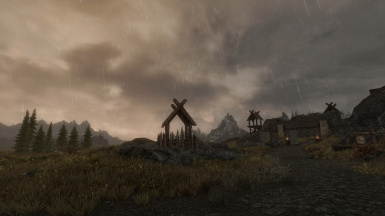 Complete weather overhaul meant to bring a level of immersion to you, the player, by adding new weathers, increasing variety and altering the weathers, lighting, colors and more, in order to achieve a rustic, medieval vibe with more natural colors. 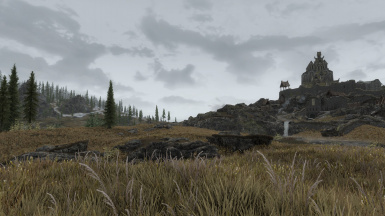 - Rustic Weathers - Presets: adds a Power spell that allows you pick one of the available presets which can alter your brightness, contrast and saturation. 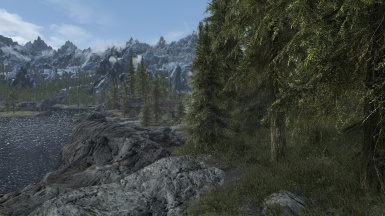 If at some point you find that the contrast is too low for your tastes, consider lowering Brightness slider in Skyrim's Settings -> Display to something between 25% and 50% depending on how much contrast you want. 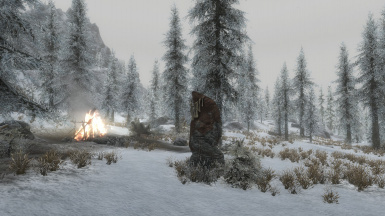 Not compatible with other weather mods. 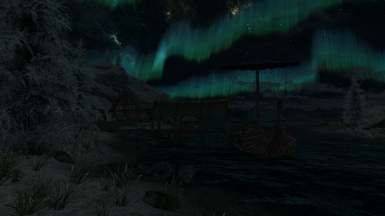 Not compatible with mods that makes the nights darker unless the mod was specifically done for Rustic Weathers And Lighting. 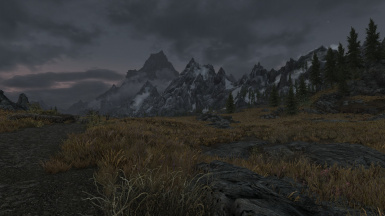 Not compatible with mods that disable godrays. 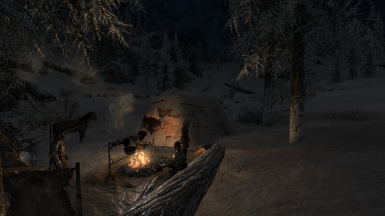 Compatible with everything, even other weather mods. 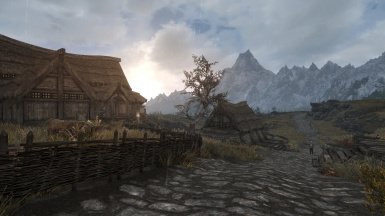 The presets are tailored for Rustic Weathers and Lighting so they may not look as good on other weather mods.